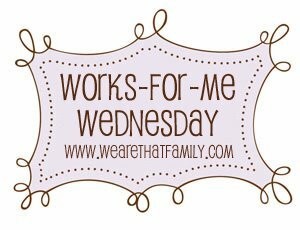 Kristen, over at We are THAT family, is a hosting a “backwards edition” of her weekly Works for Me Wednesday link-up. But you do! (not kidding this time because I could really use the help … no pressure). So my question is (and sorry that this is geared towards bloggers! ), how do you prepare your posts? For instance, do you start them with pen & paper? Do you type them directly into your WordPress, blogger, etc.? Do you use just a Word Document or similar? Do you edit them in something else? If you “copyright – or fake copyright” them, what program do you do that in? 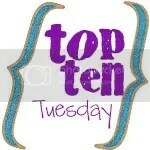 I’ve really enjoyed using Picnik and it’s super easy & cool, but I just hate the extra steps. Sometimes I dread the process of adding pictures so much that by the time I actually finish writing the text, I’ll just skip the whole picture part … and that’s, well just boring! I know the whole process of posting isn’t going to be quick & easy, nor should it. But I’m just curious if I’m not taking advantage of either a really awesome site, a super cool feature of WordPress or just a process that I haven’t thought of! So thanks in advance (remember, no pressure!). If you’d like to help others or link up your own question, visit We Are THAT Family! So this is totally & completely random but I need your help. Am I doing something wrong? Is it just me or does this happen to anyone else? Recently, I’ve purchased the big bulk size container of my laundry detergent. It’s the one that you don’t pour, but instead push the button & the little valve opens up. You hold the cup under the valve as the detergent comes out. Do you have a visual? I should really go take a picture but sorry, that’s not happening right now! So, my problem is that my container is the stickiest, nastiest thing – ever!! I don’t even put the cap back on like you should & it’s still sticky everywhere!! Does this happen to anyone else or can I just not properly pour it from the big container like a big girl?? Any tips?? At this point, I’d rather have cleanliness over savings so I’m thinking I’ll stick with the containers that won’t break my back! So I have a burning desire (literally – as in my eyes are BURNING) to get some resolution to a very simple question!! How do you chop your onions?? Are there any tips or tricks for when you chop one of those that literally puts your eyes on fire? One of those where all you want to do is rub your eyes & wipe away the tears but you’re afraid to touch them in case your hands have been contaminated & you could be doing more harm than good! I once heard while watching Martha Stewart to light a candle & let it burn while you chop the onion. Well tonight, the candle was burning & my eyes were too!!! It was absolutely insane. Jack Bauer could have used it last season as an interrogation tactic!!! So if you have any tips, I’d love to try it … I have another one I have to chop for tomorrow night’s dinner! !